You know you have amazing content, but how do you drive traffic to it? How do you amplify its reach? We do this by monitoring which social media channels people are engaging with, as well as the themes and messaging that is resonating the best. Sometimes this differs depending on the channel. If they’re interested, she offers or suggests another blog piece going into more detail about that one tip. This approach has resulted in a 16% increase in blog traffic month over month. If you’ve got the budget, the fastest way to drive instant traffic to your content is more likely through paid social media, from promoted posts on Twitter to ads on Facebook. For the biggest effect, you need to spend wisely. Facebook Ads have really moved the needle for us, but we choose to only spend on high-value initiatives like e-books, webinars, and conferences. These are the things that tie back directly to lead generation, growth, and attendees at our events. For those who have the budget, paid promotion through Twitter, LinkedIn, and other channels is great if you promote the right content. The key is promoting it to individuals. Dominik Elmiger, a digital marketer and teacher at Chartered Institute of Marketing, explains that social allows brands to blur the line between person and company. He says he’s seen great results for B2B brands adopting this individualized approach. TIP: Don’t forget to ensure that each piece of content being promoted is optimized to collect subscribers and leads. 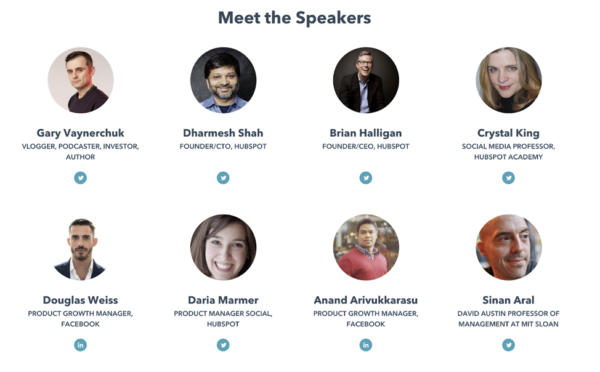 David Fallarme, head of marketing at HubSpot, advocates doubling down on a singular topic. Which topic? “Let your personas drive your target ‘topic clusters’ based on search volume estimates and competitiveness of those clusters,” he says. TIP: Make sure your personas are up to date. And pick the most desirable persona based on your brand’s operational or content marketing goals. Focus your time on a topic where you can add the most value to the largest relevant audience. 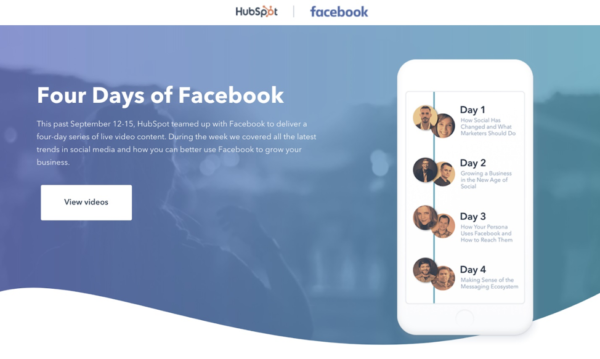 The summit hub’s reach was expanded not only through promotion by the influencers, but also a HubSpot promotion through Facebook Messenger bots. The Messenger content led subscribers and other readers through the event’s content. A blog article is good. But using the same research and insight included in the blog article in other formats offers more opportunities for your audience to see and engage with your content. TIP: Customize your call to action based on the format, not just the topic. Marketing automation offers another way to get your content into the hands of your audience. Dominik sees triggering content based on the life stage of a prospect or customer as a great opportunity. Triggering could happen through dynamic content modules on your site, promoting content to those who need it the most, or through emails, tailoring content to people who have expressed an interest or to a persona or industry sub-segment, Dominik says. TIP: Make sure to have sufficient dynamic content covering the buyer journey to be able to successfully use triggering, according to Mark Colgan, SaaS marketing consultant and founder of Yellow O. TIP: Repurpose your content into an automated lead-nurturing campaign. Identify how your existing content could work in multiple stages. Perri says Meltwater has found that leads from this nurtured campaign closed more quickly than non-nurtured revenue sources. 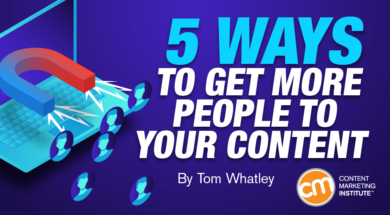 As you expand your view of how to get more from your content – and how to get more people to see or view your content – think about your content as an agency does its clients. What can you do to make sure your client gets the recognition it deserves from the right audiences? Your solution can involve thinking more about how to use public relations and advertising, but it also can include identifying a topic to own, automating triggers, and using the content in multiple formats. The key to amplifying your content’s reach is to make sure the audience’s needs always come first. Marketing automation is a hot topic in content marketing. Learn more about how to decipher the maze as well as many other technology topics at ContentTECH this April in San Diego. Use the code BLOG100 to save $100.